Rebel: I’m not someone for delicate, filigree adornments. My short hair is perfect to show off big, opulent and glamorous earrings. 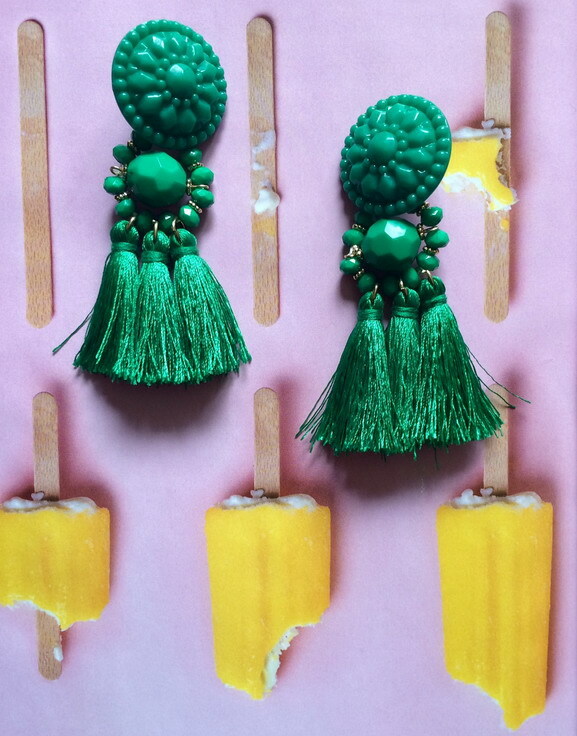 Preferably in bold, saturated colours like the grass green tassel earrings I’m wearing by H&M. Romantique: I love my jewellery cutesy and creative, sometimes even bordering on quirky and kooky! From French pastries to cherries and macaroons, my jewellery box is full of sweet treats I can indulge in without having to count calories! 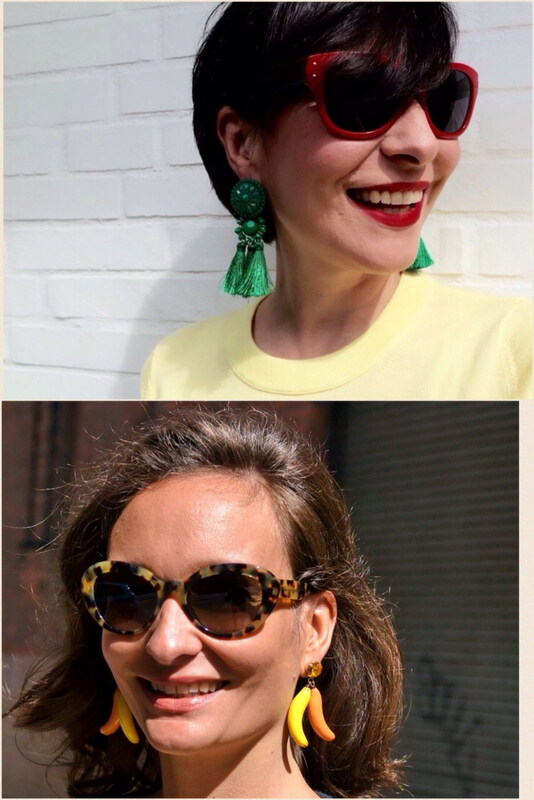 My banana earrings by Les Nereides – N2 Paris are real show stoppers. They are fun and summery and have the magical ability to instantly make me feel good as soon as I put them on! 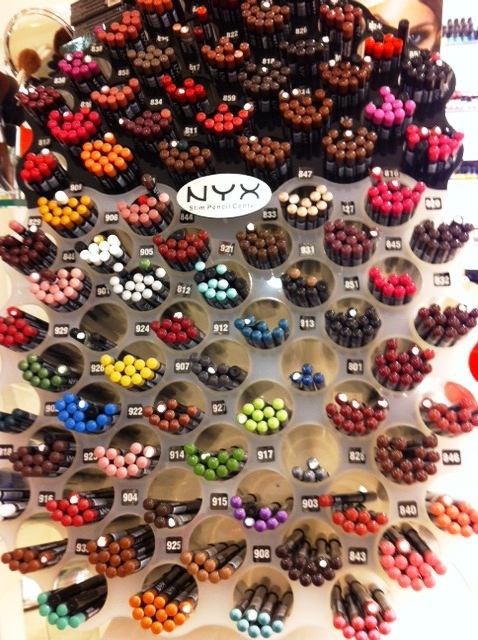 Do you like Romantique’s whimsical and playful earring style or do you prefer Rebel’s grown-up glamour? 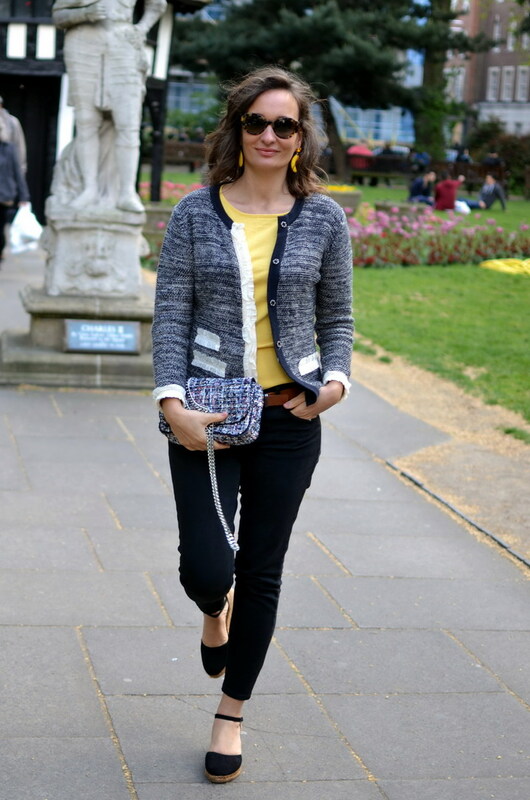 Street style London: Rocking my bananas with a yellow jumper, black skinnies by topshop and boucle jacket. Tweed bag by Zara.